Click photo to see video on You Tube thanks. What's it like to boat on Lake St. Clair? Take a short boat trip early November (7 minute video) from northern Lake St. Clair through a small portion of the beautiful St. Clair Flats, the largest freshwater delta in the world. We start in Bouvier Bay, head into northern Anchor Bay, up the Sni (Chanel Bout Rond), then down the North Channel passing several Walleye fishermen. Lake St. Clair is a huge lake, and may be a little overwhelming for someone new. However, the northern end is much more protected if you like using a small boat. We travel mostly in a 16' fishing boat! 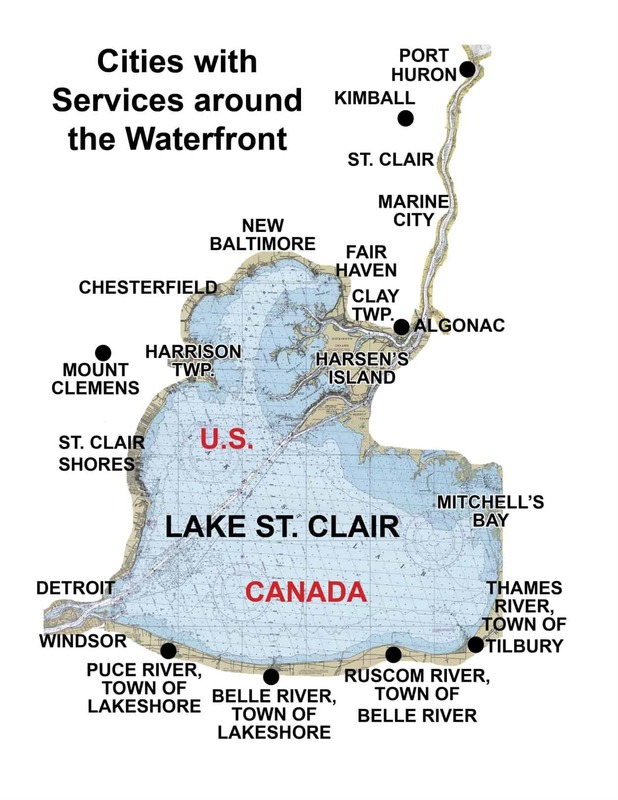 Even in heavy winds, and no matter which way the wind is blowing, Lake St. Clair offers many DNR launch sites to put your boat in a protected bay. Come and stay on the best part of the lake! Many restaurants, shopping, family activities, and cute small towns to visit on the water.